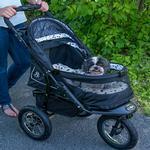 The NV No-Zip Pet Stroller in Dalmatian is a pet stroller everyone is sure to envy! The NV No-Zip Pet Stroller was created by combining all of the best features of the Pet Gear Pet Strollers. No zippers means no hassle when trying to open and close the stroller. Easily gain access to your pet without fumbling with difficult zippers! The NV No-Zip Pet Stroller also features an elevated paw rest. Your pet can easily look out of the stroller by using the front bar for support. 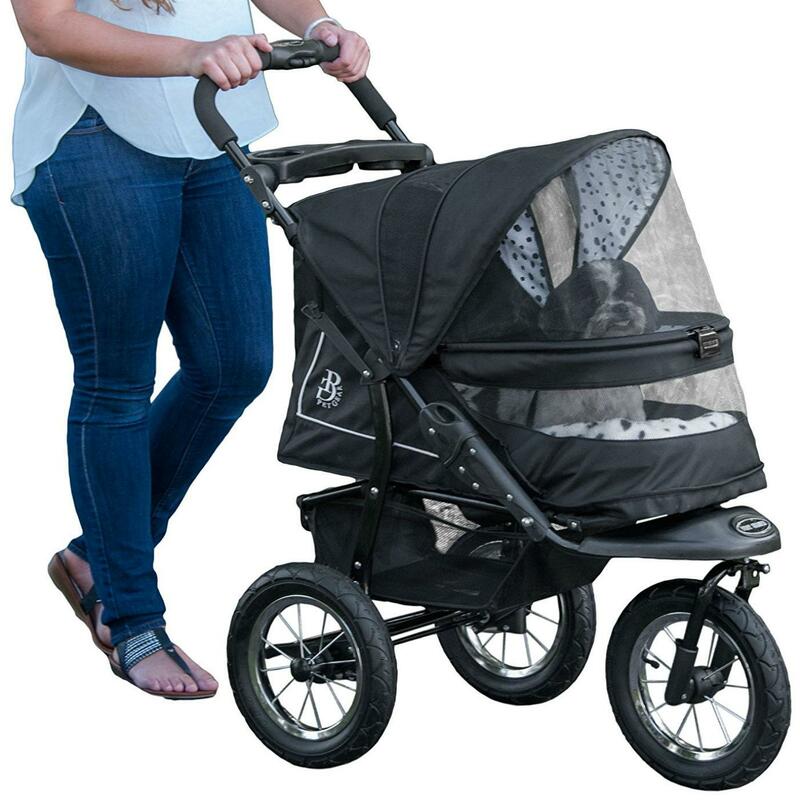 The panoramic view window allows your pet to remain safe inside of the stroller without missing any sights while you stroll! Great for rough terrain thanks to the front locking wheel. Stroller height to handle is 42". 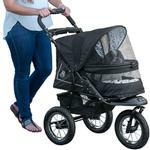 Weather cover and bolster pad are also included with this top of the line Pet Stroller. NV No-Zip Pet Stroller - Dalmatian Customer Photos - Send us your photo! Posted On 12/31/18 by Joie T from Toms River, NJ Yes, Joie T recommends this product! Best stroller ever inside and out. I take my little Jax just about everywhere and the Pet Gear stroller is perfect. It’s done definitely large enough for two fur babies if needed. I also love the comfy bolster pad and wind/rain cover that’s included. Well worth the money.